The intentions of KEPOS and how to be part of our “garden”. In Greek tradition the word kepos (here transliterated in the Latin alphabet) possesses various meanings. It indicates, for example, a garden, a fenced place, the womb: it therefore contains the idea of ​​flowering and birth as well as the idea of ​​protection. Perhaps, it was these meanings that led Epicurus to choose the kepos as the seat of his teaching: in fact, it does not correspond to an inviolable hortus conclusus, but combines the selection of those who are admitted – first and foremost by cultural interests – with openness to the outside, a guarantee of renewed life, vigor and lymph. 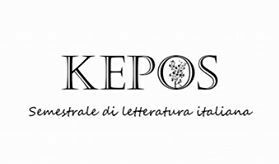 The kepos cares and defends those who are part of it, but does not look only within itself; on the contrary, it is available to offer its bloom to anyone who wishes to enjoy its beauty, as well as (and above all) wishes to enrich it by virtue of its own experience and its thirst for knowledge. This would also be our magazine, which ideally, in the title, turns to the ancient kepos : a meeting and comparison space for literary studies in different fields and open to critical perspectives and various methodologies (and the analysis of the text and philology alternate to a comparative or interartistic approach, as well as to the Digital Humanities and much more). Our kepos aims, therefore, to welcome all scholars who propose contributions supported by high scientific rigor and animated by true and authentic passion. The semester also aspires to become a “field” of collaboration and mutual intergenerational learning, supporting, in its committees, the experience of already established scholars to the proposals of young researchers. We are aware that it is an enormous challenge of the intellect, as well as an arduous exercise of method and freedom: we will try, however, to “cultivate” the garden.